It will be listed here in Discreet Magazine for FREE! i was in iloilo last month and i stayed at Grand Tower along Isnart St going to YMCA. I had a great massage service at Royal Thai located near my hotel ky dula gd tana ko nga sakit sa lawas. Tanda gd cla sa accupoints and acrobatic stretching. 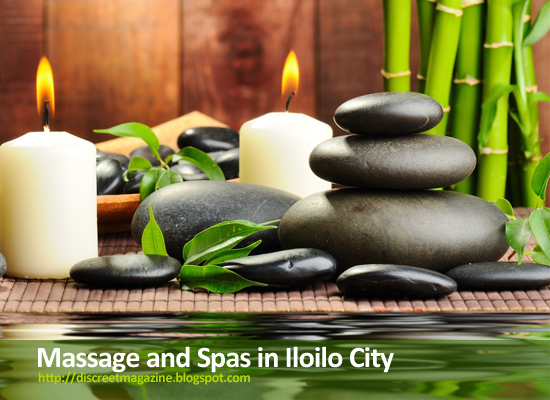 They have variety of massage styles, f indi mo gusto nga permi ka gina butong, swedish ang mas relaxing,, dasig ka matologan, pagbugntaw mo, tawhay na. You may call them at 509-7203, they do home and hotel service as well. Kag in fairness, ka damo gwapo nga massuers. best service gd c sputnik kag si berto, i doubt if their telling their real names, cause it sounds funny. Massage was perfect and satisfaction guaranteed. I will be in Iloilo city next wednesday and thursday. Can anyone recommend me a nice spa with hot male massuer, esp with big tool? Thanks!